Enter our raffle for the chance to win a Nespresso machine! If you’ve stopped by our office, you’ve most likely experienced our Cappuccino’s, Latte’s, or Espresso Macchiato’s. These are all made with love with the Nespresso machine! 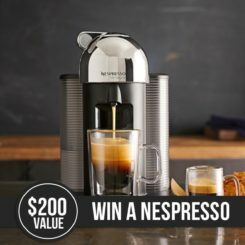 When you spend $500 or more, you are instantly entered into our April Raffle for the chance to win a Nespresso machine ($200 value). 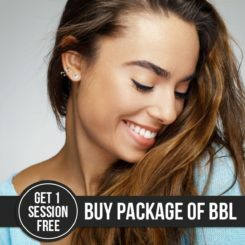 BBL (BroadBand Light Therapy) is a laser treatment that can diminish the appearance of pigmentation, discoloration, and fine lines and wrinkles. From now, until the end of April, we are offering one complimentary BBL session with the purchase of a package of 3 sessions. 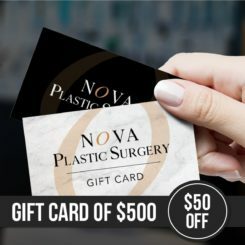 Get yours today to save on your favorite treatments or products! Check back soon for our specials coming up in the next few months! If you want to be notified through email about our events and specials, sign up for our mailing list below!